Our generator units are rugged, corrosion resistant and designed with the selection of high-quality materials combined with the latest technologies and components to meet the high demands of our customers. For example, we use galvanised sheet metal for the hood and the drip tray and stainless steel is used for the integrated tank and the cabinet. The drive motors are also carefully selected and among the aspects of exhaust emission and designed in the package with the best generator for your application. Hydraulic power units are required to provide onsite corresponding machines with high hydraulic pressures and volumes. WTW Anlagenbau meets high demands on the robustness and reliability of the aggregates. Our hydraulic power packs are configured and manufactured specifically to your requirements, giving our customers the possibility to meet requirements such as size, footprint, twist lock, hydraulic pressure, flow rate and number of connections at WTW Anlagenbau. For the offshore industry, the highest standards of reliability and corrosion resistance of the generator sets are provided using WTW Anlagenbau’s years of experience using the highest quality materials and components. The company constructs special offshore units, single and series units according to your wishes. Construction sites are often cut off from the local power supply. 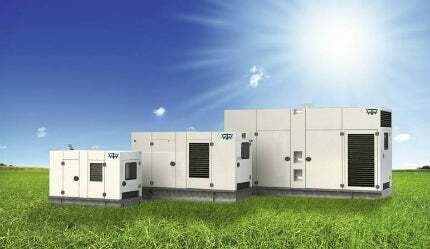 Therefore, it is important to order the power supply for your building project in advance and consider appropriate generators and distributions. As a professional company in the field of rental units, you depend on reliable, rugged and service-friendly generators. The units of WTW Anlagenbau are specifically designed for this continuous use and by using the latest engine technology, all of our units meet the highest standards. WTW Anlagenbau supplies to concerts, trade shows and large-scale events. For events, a stable, reliable and, above all, quiet power source is required. Therefore we offer super quiet generators in all performance classes, which can be crosslinked as a twin pack, to ensure reliable and uninterrupted power supply. All units have, for example, possibilities for connecting external tank systems to increase availability and security.